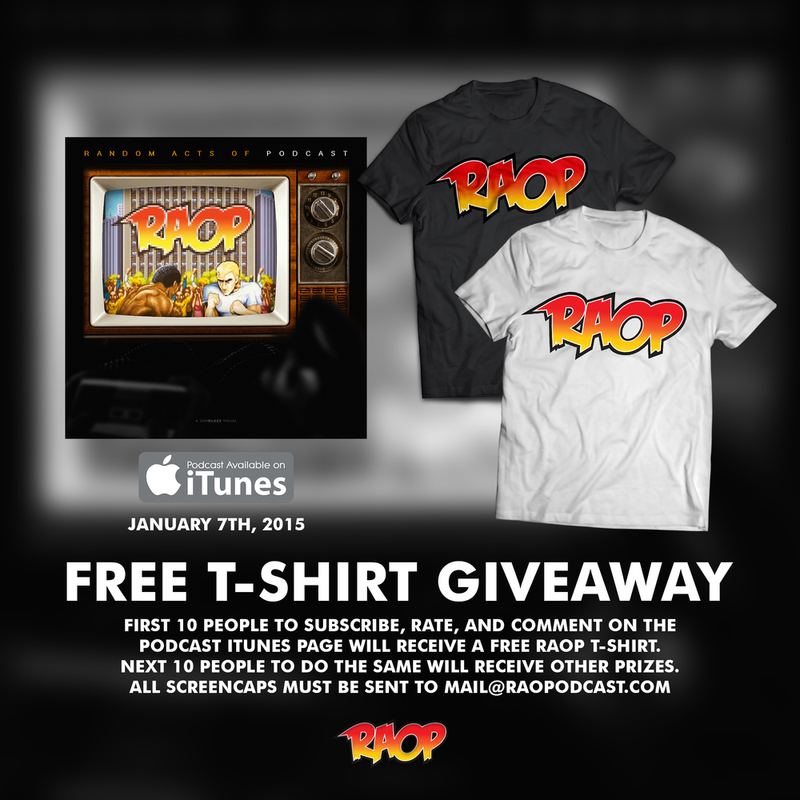 First 10 people to subscribe, rate and comment on the Podcast iTunes page will receive a Free RAOP T-Shirt in their size. Next 10 to do the same will receive additional prizes. All screencaps must be sent to MAIL@RAOPODCAST.COM. Stay tuned for more contest in the near future.